Many exercises have been developed and are prescribed for improving the abdominal musculature. Despite the number of exercises prescribed, the majority of these exercises are inefficient and inadequate. Some may lead to lumbar pain without any appreciable muscular benefits. The primary objective of this course is to give correct and practical information about abdominal training. In addition, many myths about abdominal exercise will be explored, and several sample abdominal exercises will be discussed. Understand proper recommendations and misconceptions about abdominal training. 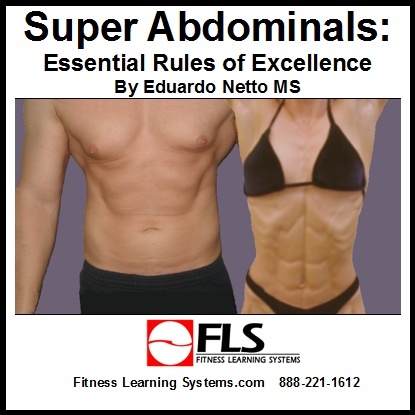 Learn the anatomy and function of the abdominal muscles. Learn how to train the abdominal musculature efficiently and safely. Understand research implications regarding abdominal training. Correctly demonstrate several abdominal exercises. Design a safe and effective abdominal training program.